Baked Cod Recipe? 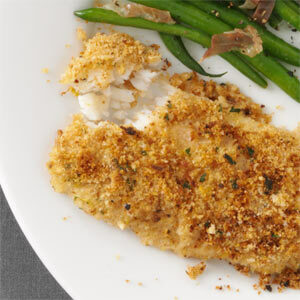 If you like your fish mild, moist, flaky and lean, you'll love the fish and this restaurant recipe. The restaurant customers certainly enjoy this fish! This restaurant seafood recipe is quick and easy, but it tastes great and one of the important reasons is that I buy only the highest quality fillets available. The fish purchased for restaurant guests (and my family) is harvested in the icy waters of the Bering Sea and the Gulf of Alaska. You may have similar quality available near you but the restaurant customers have never been disappointed with this product. 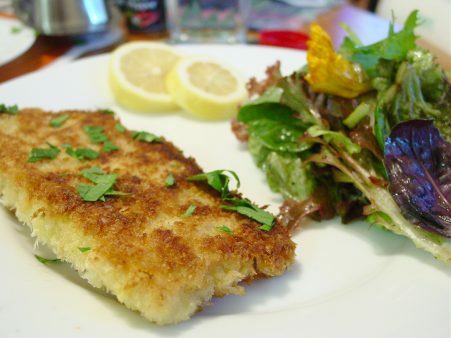 Simply stated, this fish is good for you! Japanese bread crumbs (Panko). I recommend you keep some Japanese Panko in your pantry. It is useful for many great seafood and chicken recipes. Bravo! A seafood recipe that gets the job done well! Thank you for visiting. Enjoy your restaurant recipe and the company of those you share it with. Enjoy all these restaurant recipes! They work! Did you know? 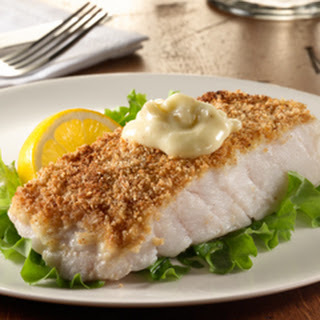 This cold water fish is an excellent low-calorie source of protein (a four-ounce serving of cod contains over 21 grams). The fish also contains a variety of very important nutrients and has been shown to be useful in a number of different health conditions.